Warren v CARE and HFEA: Medico-Legal Work in an Ethical Clean Room? The last 25 years since the inception of the Human Fertilisation and Embryology Act 1990 (the 1990 Act, or the Act) have seen a small cluster of interesting cases on how the law governs stored sperm. It is worth bearing in mind that all of these cases have as their backdrop individuals who have tried to make arrangements to ensure their reproductive choices are preserved to the greatest possible extent under extremely difficult circumstances. And all of these cases feature the courts trying to answer hard questions on who is given rights in relation to the sperm where there is a conflict between the conventional interpretation of the law and novel circumstances. Diane Blood had to fight a long battle to conceive with the sperm of her husband Stephen, who had passed away after a brief struggle with meningitis (R v Human Fertilisation and Embryology Authority, ex parte Blood  2 All ER 687, comments here). It was somewhat unclear in evidence whether Stephen had expressed his wish for his sperm to be available for posthumous conception and the courts had to deal with Diane’s challenge to the Human Fertilisation and Embryology Authority’s (HFEA) refusal to let her use the sperm for IVF treatment in England. 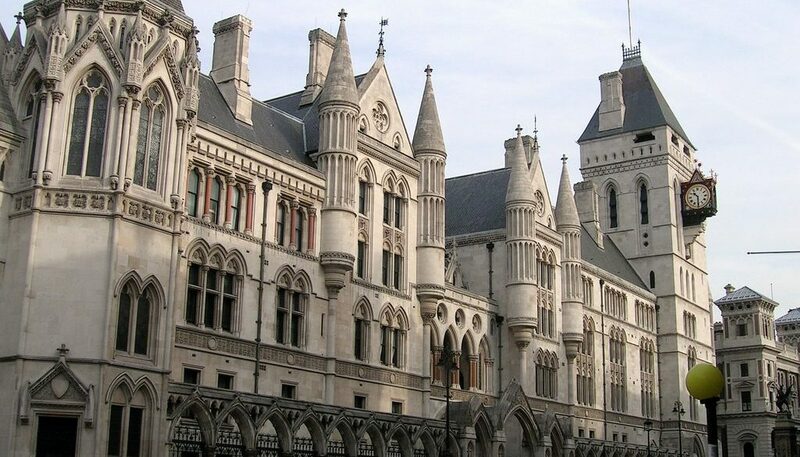 In the end, the court overturned the HFEA’s decision on a procedural point relating to European Community law, and Diane was allowed to take the sperm abroad to conceive her children. Blood was a messy case and there were legitimate evidential questions in relation to the exact wishes of the deceased father-designate, though on balance it was safe to accept that his wishes were to allow Diane Blood to conceive posthumously. In Yearworth, a group of men had individually taken up an NHS Trust’s offer to store sperm as a precaution in case their fertility should suffer as a result of cancer treatments (Yearworth v North Bristol NHS Trust  EWCA Civ 37, brief discussion here). The NHS Trust negligently failed to take care of the stored sperm appropriately – this much was uncontested – and the courts were asked to decide how the men (and in one case, one of the men’s estate) should be allowed to recover compensation for the loss of something that on the face of it had very little pecuniary value but held great emotional and personal value. The Court of Appeal assisted the claimants in constructing an argument in property that would in all likelihood not withstand a dogmatic analysis of property rights but achieved the aim of ensuring an appropriate remedy. Bravo to the Court of Appeal for being very creative indeed to facilitate justice whilst also taking the opportunity to crack open the ossified debate around property in human biomaterials. There have been more cases in the interim that posed difficult questions on the interpretation of the rules of the 1990 Act. In some cases, these issues revolved around how conflicts between the great desire to be a genetic parent in very difficult circumstances could be balanced against another’s desire not to be a parent against his wishes (see, for example, Evans v Amicus Healthcare Ltd; Hadley v Midland Fertility Services Ltd  EWHC 2161, Evans v Amicus Healthcare Ltd  EWCA (Civ) 727, Evans v UK (2007) (App. No. 6339/05)). Whilst these serve well to illustrate the emotionally charged atmosphere of jurisprudence in this context, they address questions of embryo use, rather than gamete storage. The question I am concerned with here is that of how the prima facie much simpler question of how a stored sperm sample can still, after 25 years, lead to the same kinds of conflicts of law and ethics. These days we are able to read reports (here, here, and here) of Beth Warren’s application for a declaration that, despite contrary views held by the HFEA and CARE Northampton Ltd. (CARE), the facility at which her husband Warren Brewer stored sperm samples, she should be allowed to continue to store the material. Beth and Warren met in 2004 and Warren was diagnosed with a brain tumour less than a year later. 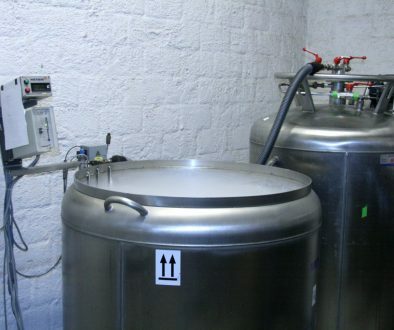 He made arrangements for sperm to be stored at CARE just before embarking on radiotherapy treatment – much like in Yearworth, he did so in order to preserve his reproductive choices in a situation where there was a greater than average risk that the treatment that was needed to save his life, would destroy his fertility. Warren initially recovered and the sperm stayed in storage. He became ill again in 2010 and his condition deteriorated rapidly throughout the year 2011. Beth and Warren married in December 2011 whilst Warren was in a hospice in Birmingham. He died on 9 February 2012. Beth changed her surname to ‘Warren’ after his death, in memory of her husband. Throughout their time together, Warren had made his wishes in relation to the stored sperm abundantly clear. Between 2005 and 2011, Warren completed and signed a range of consent forms, manifesting his desire that his sperm be stored for various periods of time and that it be made available to Beth for assisted reproduction treatment (ART) after his death. It is this that distinguishes the facts of Warren from cases such as Blood; we have a clear and unequivocal documentation of Warren Brewer’s preferences in relation to the use of the stored sperm. Nonetheless, the Human Fertilisation and Embryology (Statutory Storage Period for Embryos and Gametes) Regulations 2009 (the Regulations) provide that the consent given to the storage has a certain temporal reach (Regulations 4(3)(a), 7(3)(a)). Warren consented to storage for three years in 2005, for four years in 2008 and for six years in 2009. There is a confusing array of different forms being signed and contact made between Warren and CARE between 2009 and 2011, but it is agreed that he telephoned CARE in mid to late 2011 (when his health was deteriorating rapidly) to ensure that all procedures were in place to permit posthumous conception. There seems to be no issue here relating to any difficulty in interpreting what the patient/gamete donor wanted – it is clear and uncontentious. Whilst there is some discussion on exactly what the storage period might be (the exchange of forms and information did get a bit muddled at some stage), the HFEA takes the position that under the provisions of the Act, as amended, and the Regulations, the consent for the storage of the sperm expires in 2015. There is, at this point, no Blood-type scenario where Beth is excluded from using the sperm for ART. All requirements are in place for her to embark on a cycle of IVF or other such treatment right now. There is, however, the simple point that if she wants to use Warren’s sperm, in line with his preferences, clearly manifested and documented, she has to do so before 18 April 2015. In effect, the HFEA’s reading of the law results in an ultimatum: adjust your family planning according to the literal provisions of the law, or abandon the notion of having children using your husband’s sperm. This raises some fascinating medico-legal and ethical issues. We have a case where there is no doubt about the wishes of the patient. There is, in my mind, no suggestion that Warren would not have extended his consent to the storage of the sperm to the maximum extent possible had he been given the opportunity (which he was evidently not). This case is in an ethical clean room; it is devoid of contaminations that make the interpretation of preferences and desires difficult; it is, simply, ethically sterile. If we ignore extraneous and possibly far-fetched objections based on the welfare of the child, concentrating solely on the two individuals seeking treatment together, the ethically right thing to do here might simply be to allow Beth Warren to make use of the sperm, at a point in time of her choosing. So, what is going on here in terms of protected interests? The law, and in this case this means the appropriate case law as well as the amended 1990 Act and the Regulations, will try to either protect individual interests or community interests. In the case of individual interests this may even include very difficult contexts such as the purported interests of a life not yet born. In the sense that the law tries to protect community interests, we might think of how Parliament views a family unit and the circumstances under which it is thought that a child should become a part of the community. All of this is legitimate. So what is the law trying to protect here? It is not, surely, individual interests. Neither Beth’s nor Warren’s interests can be served by preventing them from having genetic children at a point in time of their choosing. No other concerned party can, at first glance, make any relevant claim to prevent them from doing so. I will not – for obvious reasons – go into a detailed discussion here but it should probably not be argued either that it could in any way be in the best interest of Beth and Warren’s unborn children never to be born either. So the law is either trying to protect a community interest, or the HFEA’s position is a simple case of unblinking legal positivism: the law says X, therefore X ought to be done regardless of the inappropriate consequences. (Baroness Warnock, quoted by Sir Stephen Brown P, R v Human Fertilisation and Embryology Authority, ex parte Blood  Fam 151 at 160-161, my emphasis. Hat tip: Jas Grewal). So, on the basis of this, what is the motivation of the HFEA’s resistance to permitting an individual interpretation that is in line with fundamental ethical and public policy considerations? A rigidly positivist interpretation of rules in relation to consent might be a reflection of the degeneration of the meaning of consent which can be observed over the last few decades. From the terrible atrocities of the Second World War came a set of rules intended to safeguard individual interests and autonomy in the context of biomedicine. At the heart of these principles, the notion of individualised informed consent re-emerged, the aim being to ensure the maximum weighting is given to the autonomous desires of the patient. This principle forms, inter alia, the basis of the numerous decisions we are all familiar with which underpin an individual’s right to refuse consent in circumstances where a trivial intervention might save her life for whatever personal or religious reasons she chooses (I acknowledge the wider debate and the limits that play a role here). Over the years, this mechanism intended to underpin autonomy has turned into a documentation obligation which serves first and foremost to protect the medical professionals from liability. The courts have been so blunt to describe it as a „flak jacket“ against liability (Lord Donaldson in Re W (A Minor) (Medical Treatment: Court’s Jurisdiction)  4 All ER 627). It might be that the HFEA is viewing the consent requirements of the Act and the Regulations as a mechanism which keeps people in check, protects facilities and individuals from incurring liability and imposes a prohibitive order on those needing to avail of help in order to have genetic children. If so, they have it wrong. These requirements are there to protect individual interests in being, or not being, a parent at a time of the individual’s choosing. Where the wishes of the two parties seeking treatment together are clear, it seems to be simply wrong of the HFEA to be so restrictive. If it is indeed the case that the HFEA feels that it has no discretion to interpret the norms in the way necessary to procure a fair result, it would be appropriate to determine whether the procedures of CARE were suitable to ensure the protected rights under the Act were made fully available to all concerned – and if that were not the case, to fall back on the most beneficent interpretation of the Act (the maximum storage duration) to ensure no rights are infringed. I acknowledge that the HFEA might feel this situation to be the result of statutory tied hands. Nevertheless, to cling to the letter of the statute, acquiescing to thereby defeating the gamete donors’ autonomously formed and expressed preferences (which were the target of the statute’s protection in the first place) is absurd, wrong and unbearably unfair. Saying “sorry, that’s the law” doesn’t cut it. And, frankly, quite how the imposition of an ultimatum to bear a child on a young woman, or forego her chance to have a genetic child with her husband forever, can be thought to be proportionate or in line with fundamental rights and freedoms is another matter altogether. NB: The Court will deliver its judgment on 6th March 2014 at 2pm. Declaration of interest: I have, together with my colleague Jasjote Grewal, provided written opinion to the claimant’s solicitors in the case of Warren v CARE and HFEA. Both CARE Northampton and the Human Fertilisation and Embryology Authority were given an opportunity to comment. Justice Cryogenically Delayed is Justice Denied?